Santa Barbara: Parked just a few feet away from the pier was this not-to-be-missed lifestyle statement. Wetsuit, bicycles, lawn chairs and man’s best friend. 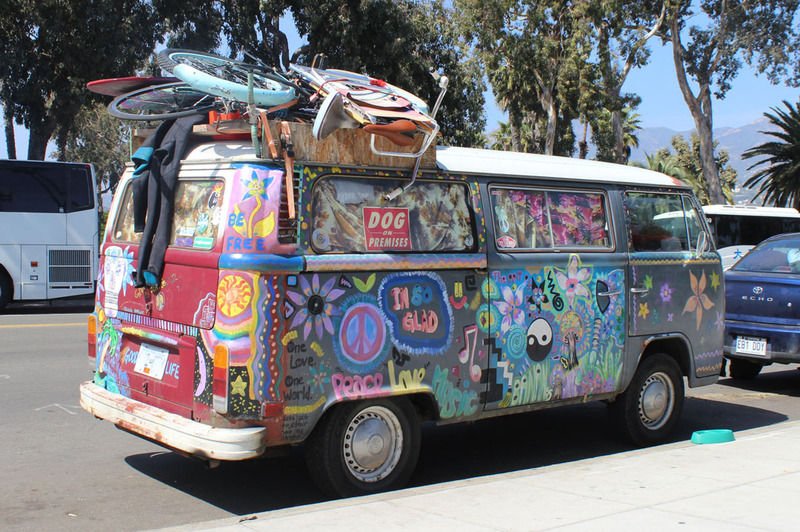 A few declarations of peace and love on the van itself and a dog dish outside. The words surrounding the license plate said it all. Good Life.